Thru-axle hubs just don’t fit in the truing stand. Our adapters fit into common thru-axle sizes so you can true them up just like a wheel with a standard hub axle. 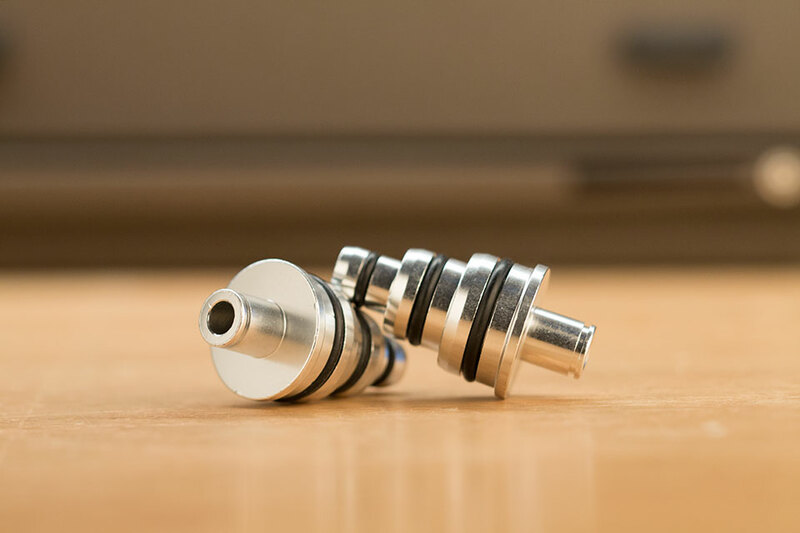 We’ve also included O-rings so that the thru-axle caps are guided into the hub for a solid fit and stay secure when you remove the wheel to check your dish and stress-relieve the spokes.